Hi my name is Adwoa Daniels and I have been a Licensed Cosmetologist since 1996. I am a Award Winning Director and Filmmaker. I'm the Creator of Miracle Growth Water, a Pravana Master Hair Colorist, Certified Basic Hair Care Stylist, I've have been Featured in Ehow.com's Beauty and Style Urban Hair Styling Series and Curlkits 24 Natural Hair Care Tips Ebook. I am originally from Brooklyn New York and I have been doing hair since I was 14 years old. I have always enjoyed doing my hair and other peoples hair. Hair Styling and Hair Care comes natural for me. 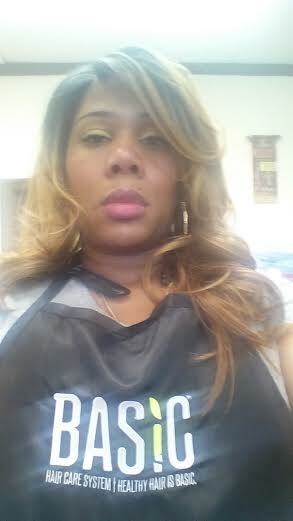 I really love what I do and I know all my clients hair and hair care needs. I specialize in Natural and Healthy Hair Care and I have the Experience, Knowledge and the best hair products that Heal Sick And Damaged Hair! My clients always tell me that I have Growing Hands because their hair is growing so fast after just one visit with me. So, if you have Natural Hair, Relaxed Hair, Damaged Hair or you want to Transition Away from that Relaxer Come See Me!